The idea of owning a personal copy of a film or TV programme is only around forty years old. Unless you had spent thousands on your own cinema set-up, or on a new-fangled home video tape recorder, 1978 was the year home video began in earnest, and anyone buying into it had to decide which direction they would take. Sony introduced the Betamax video recorder in 1975, with VHS, JVC’s competitor format, launching the following year. They were marketed with a specific use in mind – the ability to time-shift your television viewing. A two-hour video tape costed as much as £20, but were expected to be reused often - pre-recorded tapes cost at least three times as much, taking as long to make as they took to play back. With the recorders themselves costing up to a thousand pounds, selling films to the general public would have to be done another way. The answer was, as will be with DVD and blu-ray, to copy the main method of getting music into homes: pressing video onto a disc. 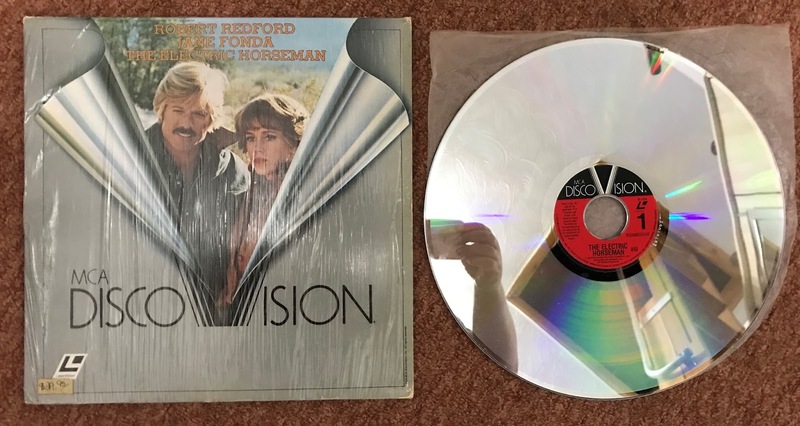 The first disc format, usually known as LaserDisc, went on sale in 1978. 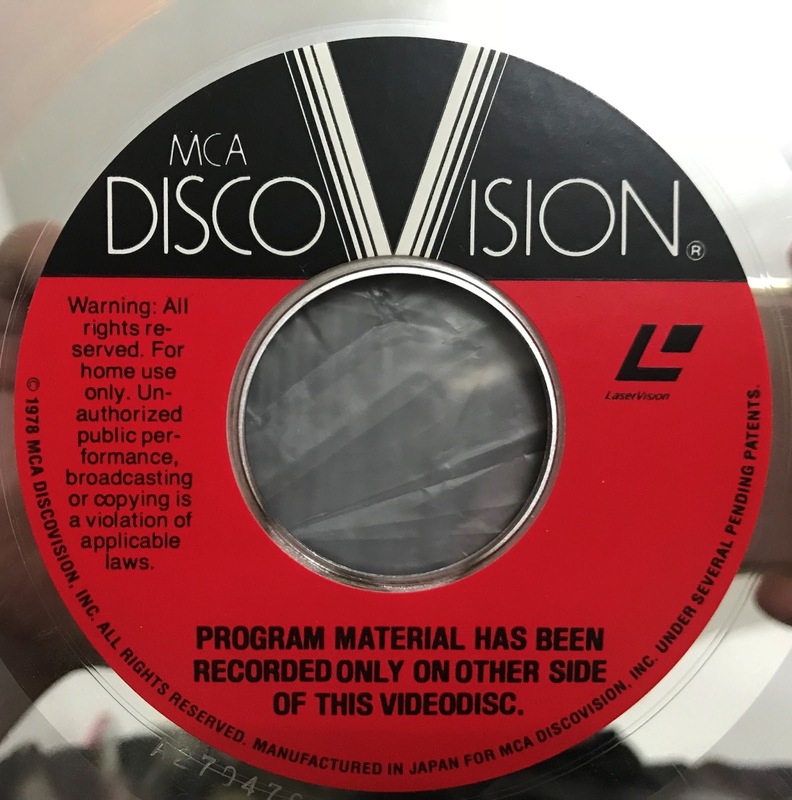 It was originally known under the hilarious name “MCA DiscoVision” – the name had been chosen back in 1969, before disco music appeared, but if you are forming a company to hold video-on-disc patents held by MCA, then owners of Universal Pictures, and the electronics group Philips, it was the right name to choose. 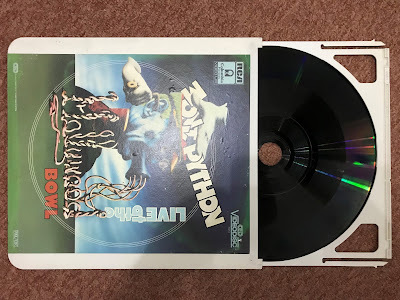 LaserDiscs look like 12-inch CDs, recording their data in a similar track of spaced pits - the discs are big enough to see the track with the naked eye - but the pits are used to interpret the waves of a composite analogue signal, rather than binary code. A LaserDisc player was two-thirds of the cost of a VCR, requiring fewer moving parts, and pre-recorded films, the first of which was Universal’s “Jaws,” cost as much as a blank tape did. This is where the problems started – stacked against LaserDisc, which could be mistreated like a CD and still play, CEDs would be too temperamental, only produced a VHS-level picture against the higher quality of LaserDisc and, of course, was released too late. RCA announced they would stop making CED players in 1984, which paradoxically caused demand for the discs to increase, until they finally ended in 1986, when RCA was broken up for sale, after losing $600 million on the whole endeavour – the UK would only see the whole system on sale for six whole months. 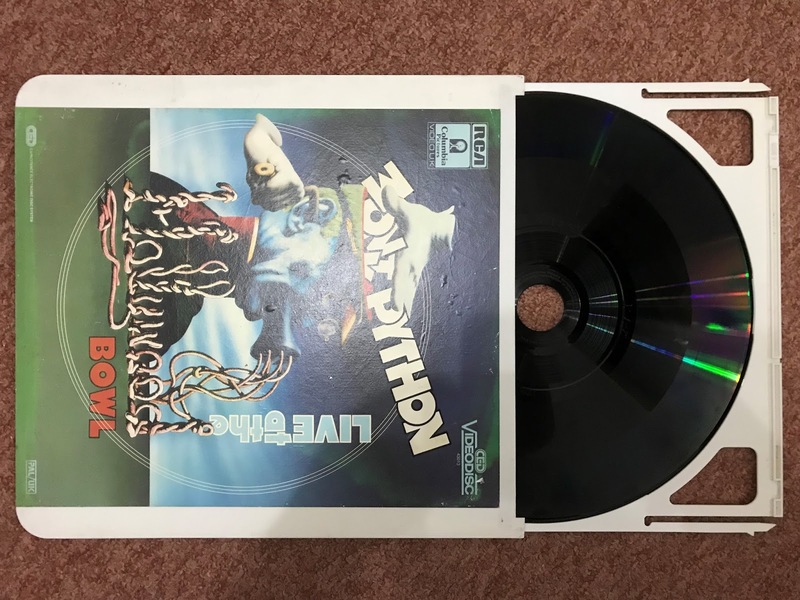 LaserDisc would carry on much longer, having proved very popular in Japan, with discs on sale until 2001, and players still being made as late as 2009 – its analogue picture quality was still on a par with early DVDs, and its ability to provide chapter searches and audio commentaries made it the premium alternative to VHS, through film series like the prestige Criterion Collection. Pioneer Electronics, which had bought out MCA and Philips’s stake, changed the name, and pushed the format to the very end - when they bought into it, in 1980, it was Pioneer that started pushing the more futuristic "LaserVision" as the name for the format, and "LaserDisc" for, well, the discs. In 1987, Philips tried naming the format "CD Video" in Europe, using gold-coloured discs, but LaserDisc had already failed to catch on there, so it lasted only a few more years. VHS became the dominant home video format for twenty years, but this was only achieved through economies of scale. While the cost of a pre-recorded tape was initially too much for most, it created the market for rentals instead, increasing what demand there was, and reducing the cost of making each tape. More companies began making both recorders and tapes to meet demand, and the overall cost continued to fall. The only downside of the ubiquity of VHS was that, when it came to replace them with DVDs, the plastic used to make the tapes was not recyclable – presumably, my collection remains in a landfill to this day. Right now, “home video” no longer involves ownership for many people – online video streaming has replaced both the rental market and the need to record TV shows to watch at a later date. I have bought films on Blu-Ray because they were no longer available on Netflix, and recording TV shows to keep now involves a dongle attached to a desktop computer. When a problem is solved, it shouldn’t slowly reappear like this.